Your satisfaction is always our top priority. You can trust our skilled and talented experts to repair your most expensive shoes and bags. Give us a call today. Live outside of our area? Have your purse or shoes shipped to us and we'll repair them. From your basic brand to the most high-end of brands; we repair them all! There is no job too big or too small that we can't handle.  High-end local designers, including Stuart Wetzman, Cole and Nordstrom, recommend our shop for repairs and maintenance of their shoes.